Imagine transporting yourself back to the imitating days of high school, what were you most self-conscious about? I mean, we all have little imperfections, right? But during your teenage years, as you’re starting to ‘grow’ into your own body and hormone levels are sky rocket high, those tiny imperfections seem to amplify. And at times, even the girls who are most confident can find themselves vulnerable. In my case, growing up, I was embarrassed by the layer of peach fuzz that covered my upper arms and back. I mean now that I think back, it wasn’t even that bad! But for years, I refused to wear anything sleeveless or backless. I was afraid to be mocked. Thankfully, everything changed during one Christmas holiday. I was 16 and my at-the-time boyfriend’s mom gifted me my first Philips epilator. I was partially shy, yet curious, but most of all, excited to take it for a spin (no pun intended!). 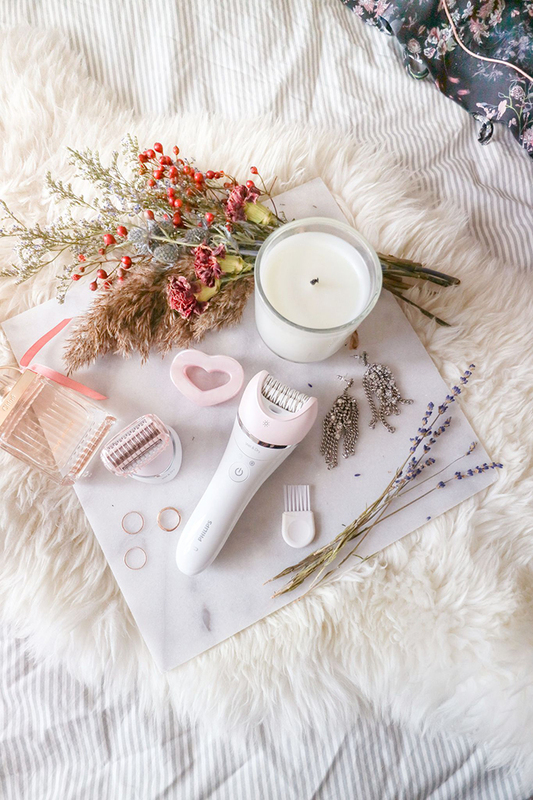 For those of you who don’t know what an epilator is (trust me, I didn’t know either), it’s a hair removal device with oscillating disks that is designed to grip and grab hair right from the root resulting in long-lasting results. I’ve been using the same epilator since and trust me, the hair grows back slower, much less, and thinner. 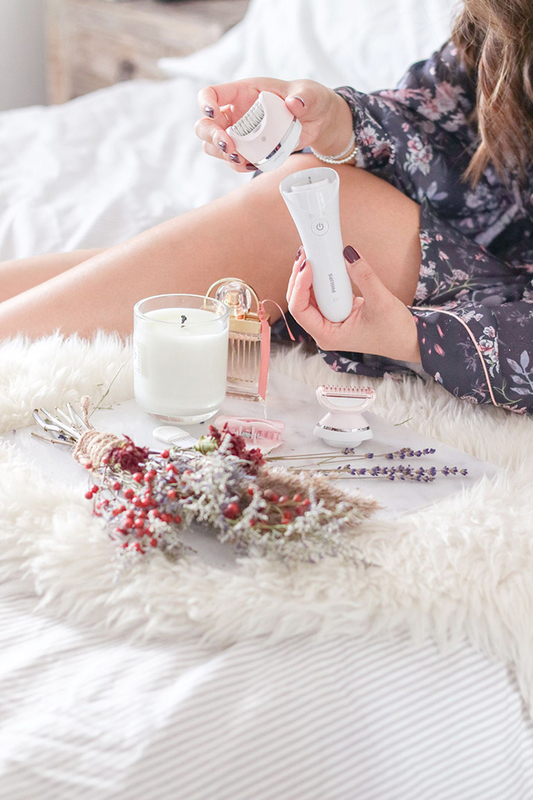 I was ecstatic when Philips Canada coincidentally approached me a few months ago to test drive the Philips Satinelle Advanced Wet and Dry Epilator and more importantly, share my journey and experience with you all! And let’s just say the epilator technology has advanced quite a bit since the one I received from 10+ years ago! There are so many reasons why I prefer using an epilator over other forms of hair removal. It boils down to three categories. Epilators offer major convenience. This particular device is cordless, lightweight, and compact allowing me to take it with on all my travels. By simply pressing a button, I can be hair-free in just minutes. No need to worry about bringing razors and shaving cream or booking unnecessary laser removal visits. 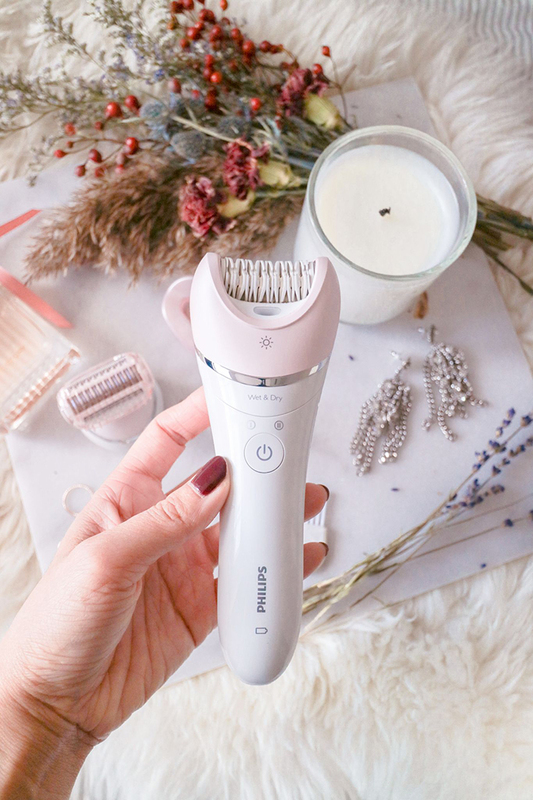 I was so amazed at how versatile the Philips Satinelle Advanced Wet and Dry Epilator is. It’s the fastest model from Philips which is designed to extract the finest hairs. It can be used wet or dry, and come with 8 accessories allowing me to personalize my routine such as fine facial hairs by using the delicate area cap or more sensitive body areas by using the interchangeable shaving head. 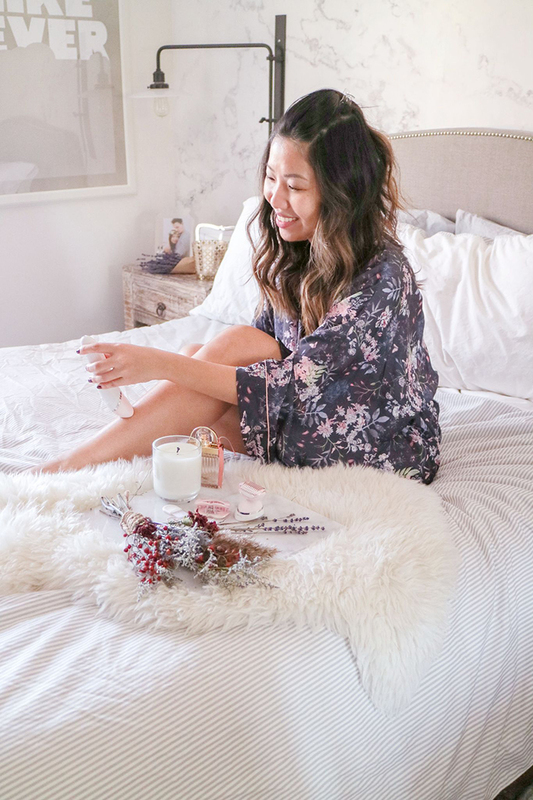 It really is an all-in-one option that makes at-home hair removal that much more enjoyable! Epilating differs from shaving. The ceramic discs rotate and firmly grip and extract the hairs right from the root. As mentioned, I’ve been using epilators for over 10 years and I can honestly say that the hair definitely grows back thinner, less frequently, and with time, the actual amount of hair also reduces. Because of the long-lasting results, it also means that I’m saving money by not having to invest in alternative hair removal solutions. If you’re interested in giving this a try, I encourage you to follow these steps for the best results. Epilating is super easy! I’m so thankful that I was gifted this magical device. Had I not, I wonder how many more years I would have continued to suffer from a lack of self-confidence. I’ve not been more proud sporting tank tops ever since! With the holiday season just around the corner, perhaps you might consider gifting one to a friend in need?! Disclaimer: This post was sponsored by Philips Canada but all opinions are my own.